Article adapted from original post on www.nocatee.com. The PARC Group is adding another grocery option to Nocatee's expanding town center. 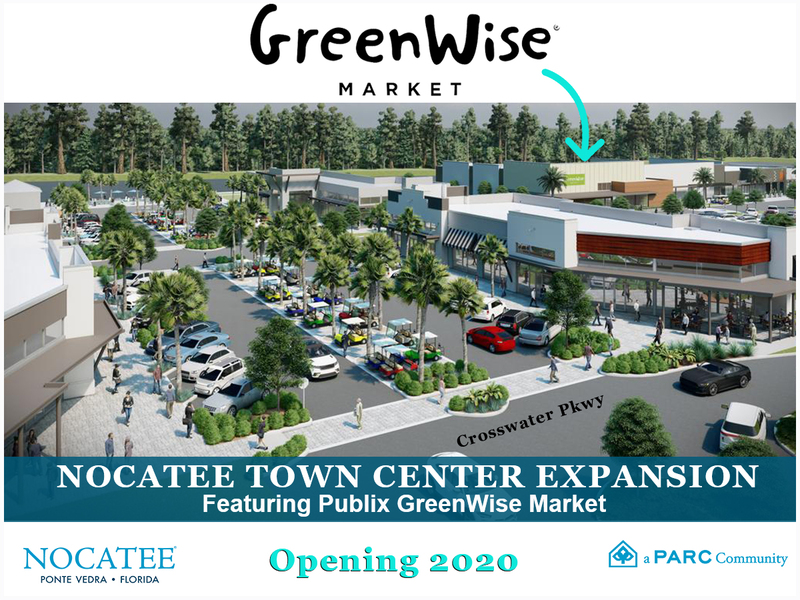 Skinner Bros. Realty, in partnership with The PARC Group, is pleased to announce that the new Nocatee Town Center expansion will be anchored by a GreenWise Market, the specialty organic grocery store owned and operated by Publix Super Markets. This addition will now make Nocatee home to both the first GreenWise Market in Northeast Florida as well as the largest Publix in the region. The new shopping center will be an extension of the current Town Center and will be located east of Crosswater Parkway and south of Nocatee Parkway. Construction on the first phase of the new shopping center will begin soon and is expected to be completed in 2020. The first phase will be comprised of two buildings, totaling 40,000 square feet of grocery, dining and retail spaces. “We are excited for these unique additions to our vibrant community,” said Michael O’Steen, Director of Planning and Development at The PARC Group, Nocatee’s master developer. “We remain committed to meeting the lifestyle needs of our residents and our growing community. The success of Nocatee is making it very attractive to popular local and national retailers”. Skinner Bros. Realty will be the development manager in partnership with The PARC Group. Skinner Bros. previously developed the Town Center East retail space directly south of the new shopping center, which totaling five buildings that include tenants such as South Kitchen & Spirits, M Shack and Dunkin’ Donuts, among others. “It’s been rewarding to see the tremendous success and popularity of our first phase of development at the Nocatee Town Center,” said Riley Skinner, Vice President of Skinner Bros. Realty. “We’re looking forward to continuing our partnership with The PARC Group in expanding the Nocatee lifestyle with new retail and dining options. Nocatee's Town Center, which features great shopping, charming places to eat and drink, and specialty services, is a popular place for residents and Jacksonville area locals alike. The Town Center also features on actively selling neighborhood: Daniel Park at Town Center. 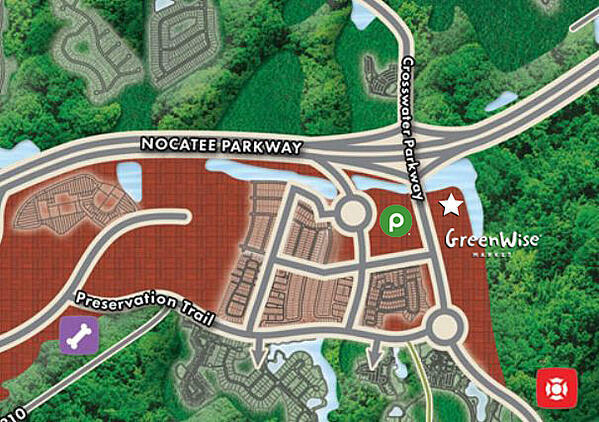 To learn more about the Nocatee community, explore Nocatee.com, stop by the Nocatee Welcome Center or call 904-924-6863.